New Generation Publishing, 9780755213306, 104pp. Learning Linocut is an exciting and detailed guide to the art of relief printing by exploring linocut. The book takes the reader on a comprehensive tour of the whole creative process, from generating ideas and setting up a studio space to cutting techniques, mark-making and printing a lino block. The book also covers more complex techniques for multiple-coloured linocuts including the reduction technique, the key-block system and experimental linocutting. 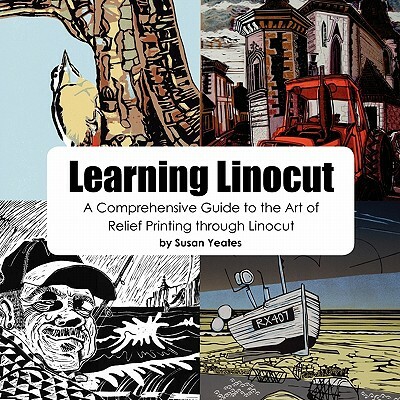 Learning Linocut contains plenty of easy to follow step-by-step guides (illustrated by colour photos), interesting and innovative suggestions of ways to work with lino and even useful 'tips' from the author providing extra pointers for things to try next. The linocut techniques discussed in this book can either be carried out at home or in a professional printmaking studio.